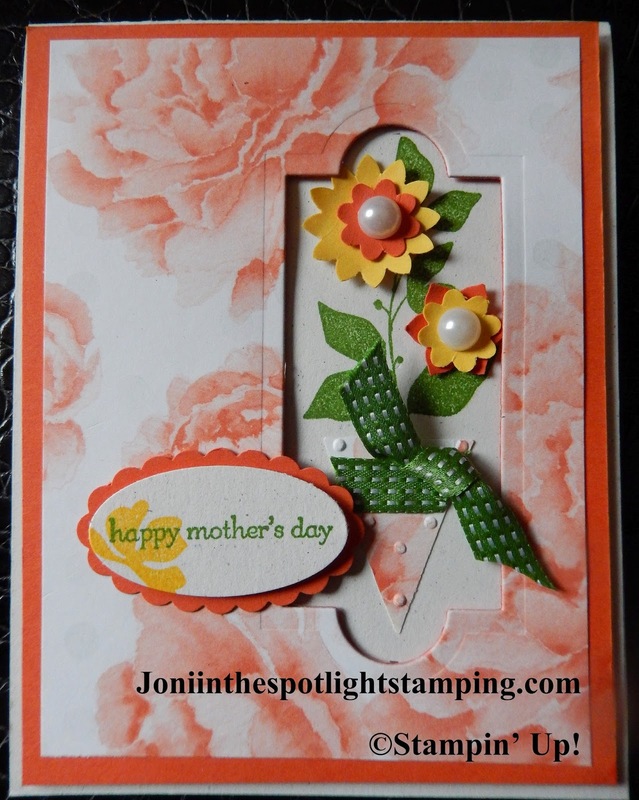 Joni in the Spotlight Stamping: MOTHER'S DAY!!! I know it's next week, but maybe you need a card!! I just wanted to share what my Stamp Club will be making this weekend!!! 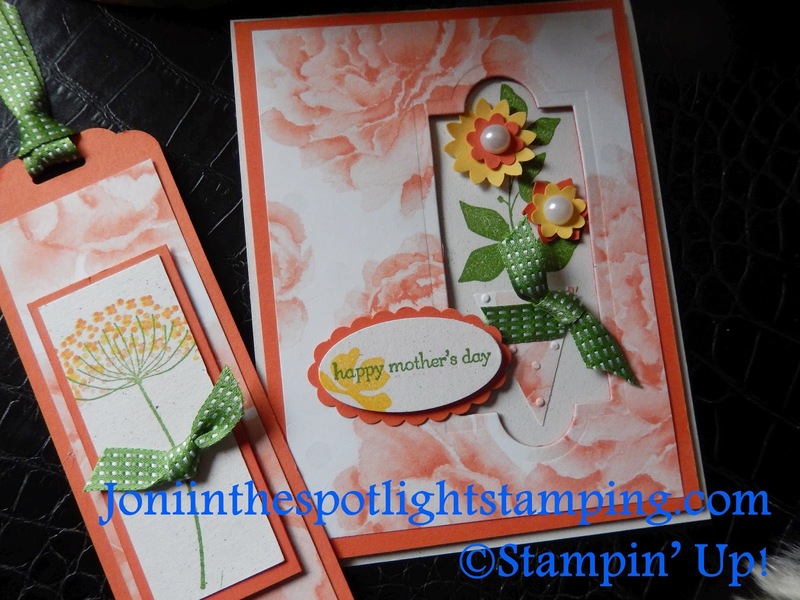 It's a very pretty Tangerine Tango card & bookmark made with the beautiful Watercolor Wonder DSP from the Occasions Catalog!!! This paper is gorgeous!! Too bad it won't be around for long tho! I know for a fact that it is not carrying over to the new catalog! When it's gone, it's gone! You only have 1 more month to get yours! So many pretty designs!!!! I designed this one for one of my customers who is getting it as a surprise for Mother's Day! Maybe it's you!!!!! FYI the Large Basic Pearl is on the Retired List. Still available as of now, but who knows for how long! The "retirees" are dwindling quickly!!! So just a fun share! Hope you like! Such a great card Joni. Love the colours and the little flower in the window. Thanks for sharing. Joni WOW what an awesome card! You have won CYCI16 challenge! Congrats!